When Adam Smith penned his mighty tome, The Wealth of Nations, which was published way back in 1776, little did he know he’d not only be putting the small Scottish east coast town of Kirkcaldy where he was born squarely on the map, but he’d also be changing forever how we all looked at the world. Since then, of course, thousands of enlightened minds have followed in his footsteps and, indeed, they still do so today, many as undergraduate students studying for their BA in economics at universities all around the globe. However, the study of the academic discipline of economics is not confined just to the famed universities either, Harvard, MIT, LSE and Oxford and Cambridge to name but a few, although these august institutions tend to garner the lion’s share of the research grants and prestige. The subject is also eagerly taught at universities across Asia and in countries in the Middle East, such as the United Arab Emirates (UAE). Regarded as one of the best universities not only in the UAE itself, but in the Persian Gulf and wider region, the American University of Sharjah, often simply referred to as AUS, forms part of the 1,600 acre complex of educational institutions making up University City in the city of Sharjah. AUS also stands out for the way its curriculum embraces the American pattern of semesters and courses. But when it comes to the study of economics, the university firmly believes a strong foundation in the subject offers students crucial knowledge and insight into the impact of developments in business, the environment, social and world economies. The university adds, “Taught by a highly qualified faculty, our dynamic program offers just such a foundation through its diverse curriculum and high standard of excellence. In accordance with the general mission here at AUS, we provide American-standard degree programs for economics majors and contribute high-quality courses to a variety of other AUS programs. But it’s not all hard work at AUS, not by a long chalk, for the university offers a range of activities which enable students to pursue any personal interests they may have. Students can form clubs and societies and join sports and athletic teams on campus. They can organise and stage events and even work for the university student newspaper and literary magazine. The clubs in particular reflect the huge cultural, ethnic and national diversity of AUS students who come from all corners of the Middle East and much further afield. There are also interest-orientated clubs covering books, computers, chemistry, finance, music, photography and many other subjects. There’s even an economics club, naturally. 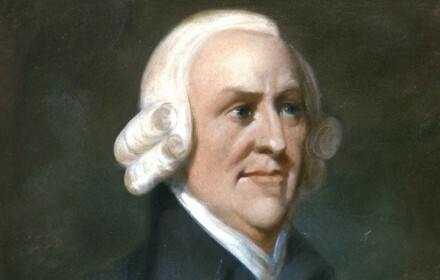 Adam Smith would have been proud! Find out more about Adam Smith here.